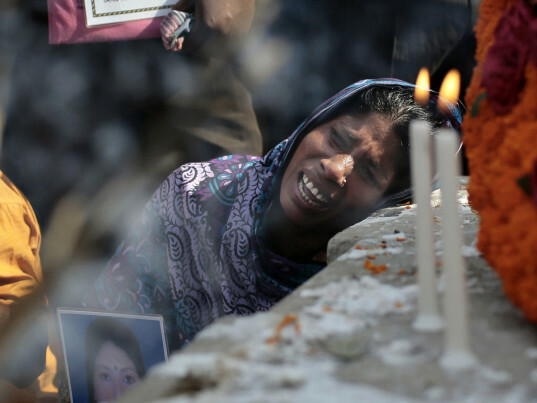 Earlier this month, four labor groups—the International Labor Rights Forum, Clean Clothes Campaign, Worker Rights Consortium, and Maquila Solidarity Network—all of which were witness signatories to the Accord on Fire and Building Safety in Bangladesh, released a report evaluating H&M's compliance with safety action plans for its strategic suppliers in Bangladesh. In response, H&M has posted two public statements, as well as responses to individual activists on Twitter and Facebook. 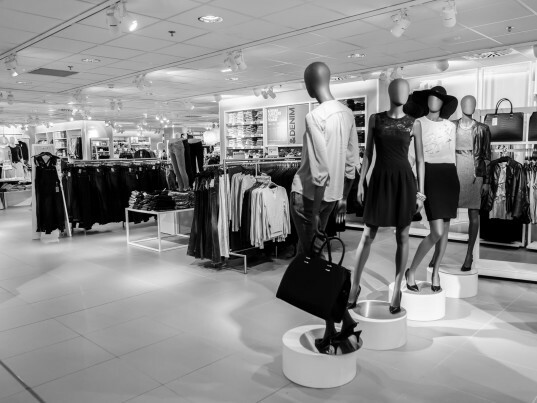 In this post, the authors behind the report take on H&M’s spin and clarify the truth. Meeting the accord requirements for operation means that the factory building is not at risk of immediate collapse and that the accord has not formally declared the factory noncompliant. However, this does not mean that these factories are safe—far from it. The accord approach is that, where there is no immediate risk to life, factories remain in operation while carrying out the required repairs to bring them into full compliance with the accord’s safety standards. The accord’s corrective action plans establish deadlines based on the urgency of the repair and the amount of time it is likely to take for the repair to be carried out. H&M should aim for a higher standard than avoiding factories that are at the point of collapse. H&M’s sustainability communication should be based on honesty, rather than confusing customers by implying that its supplier factories are totally safe, when it’s clear that they are not. H&M also says that “fire exits are one of the most fundamental requirements for a supplier in order to be allowed to produce for H&M.” If this is true, then why are at least 78,842 people sewing for H&M in factories that lack adequate fire exits? H&M should bring its suppliers into compliance with the requirements of the Accord on Fire and Building Safety in Bangladesh. Taking the required measures means completing the renovations required under the accord’s safety action plans within the required deadlines, which H&M has not done. Our report wasn’t based on factories where H&M is the “lead brand,” (an internal accord mechanism that assigns specific brands the responsibility to oversee progress in specific factories). It was based on an evaluation of suppliers which H&M itself claims are their most important and strategic suppliers. As such, this statement is meaningless in the context of the report’s findings, which H&M has not refuted. 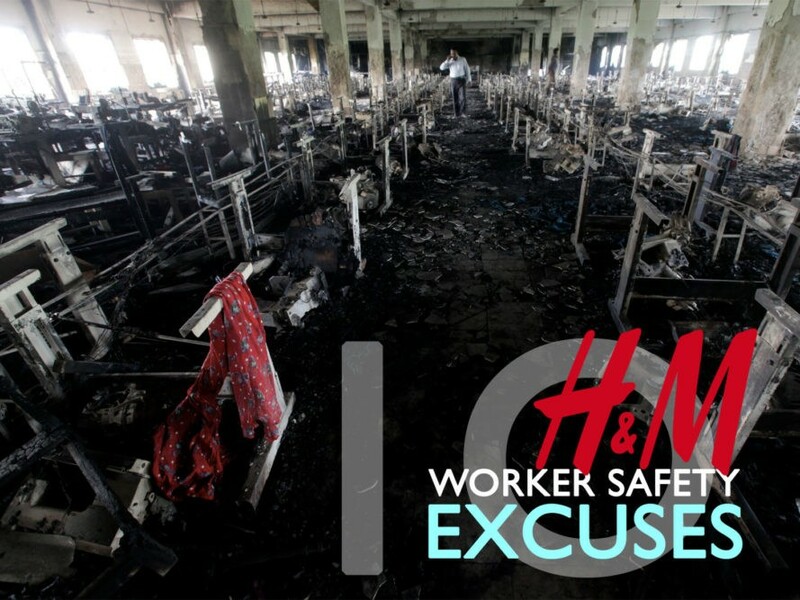 Not a single H&M strategic supplier was in full compliance with the fire and building codes. H&M’s assertion that over 40 percent of repairs have not been completed in those factories where H&M is the lead brand is quite disturbing. If this is accurate, it is unacceptable. However, we are not in a position to verify this claim by H&M unless H&M publicly releases the list of factories where it’s the lead brand. If H&M wants to rely on this set of data to make its claims, it should also make that data publicly available so that it can be verified. This statement by H&M also does not take into account its failure to meet mandated remediation deadlines. As our report analyzing H&M’s level of compliance at its strategic suppliers showed, not a single H&M strategic supplier was in full compliance with the fire and building codes. In addition, in 53 percent of the factories, the majority of safety renovations were behind schedule. How can that be counted as good progress? Acknowledging a problem is only a first step toward fixing it. Unfortunately, H&M’s earlier update on its “Conscious Actions,” prior to the release of our report, stated that all remediation was “done”—a statement that was clearly inaccurate. Furthermore, “some delays” seems to be quite the understatement when the majority of H&M “Gold” and “Platinum” suppliers were behind on more than 50 percent of the required renovations. It is true that certain products, including fire doors, required to meet standards need to be imported and weren’t readily available in Bangladesh in 2013. However, for H&M to claim that this is still a problem over two years later is unacceptable and a weak excuse for the fact that 61 percent of H&M’s strategic suppliers do not have fire doors. H&M is a huge multinational brand, running a complicated, multi-faceted business throughout almost every country in the globe. The fact is 61 percent of H&M’s strategic suppliers do not have fire doors. Its entire business model is based on speed and efficiency. 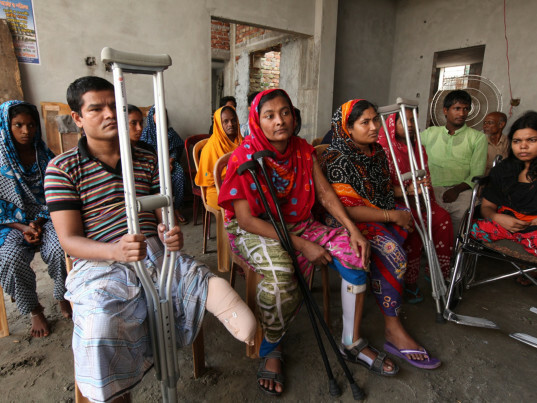 It has a staff of nearly 600 employees in Bangladesh alone (not counting the hundreds of thousands of factory workers making clothing for the company), and company profits after taxes of US$1.87 billion in the first nine months of this year. It’s difficult to believe that the importation of fire doors and sprinklers would be beyond its power, if it were really the priority H&M claims it to be. A Le Monde reporter put this best in an article titled “Au Bangladesh, H&M en panne de portes coupe-feu” (translation: “In Bangladesh, H&M out of fire doors”). An exit cannot be considered an emergency exit if it lacks fireproof doors. Therefore, it is not correct that all of H&M’s suppliers have emergency exits. According to the analysis we conducted for our report, 61 percent of H&M’s most strategic suppliers lacked fire-rated doors and enclosed stairwells and therefore lacked fire exits. “The installation of fire-rated doors and enclosure of stairwells is perhaps the single most important step a factory can take to prevent workers from being killed in a fire. In Bangladesh, most garment manufacturing is performed in multi-story buildings, many of which are six stories high or more. When a fire breaks out in a multi-story building, smoke immediately begins to spread up and out, filling any open area. If, as is the case in most garment factories in Bangladesh, there are not fireproof doors installed at the entrance and exit to each floor, thus isolating the stairwells from other building spaces, the stairwells will quickly fill with smoke and become impassable, trapping workers on the upper stories. 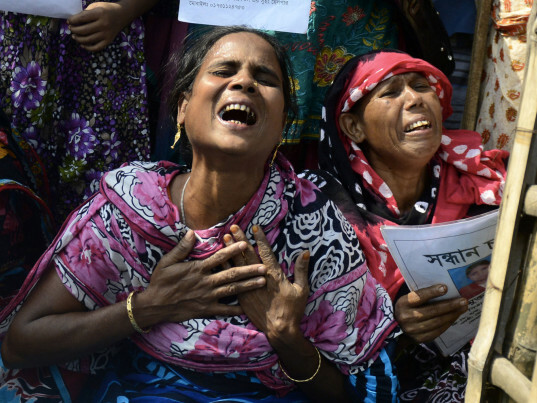 This is the defect that has been the primary culprit in virtually every mass fatality fire in the Bangladesh garment industry, including the Tazreen Fashions fire in November of 2012, which killed more than a hundred workers. Conversely, if a facility has properly enclosed stairwells and fire doors, as required under national law and the Accord’s standards, then the exit stairwells are protected from smoke and heat and remain clear, allowing workers to safely exit the building. Our report does not claim that the doors with locking mechanisms are regularly kept locked while workers are working (although this is fairly common practice in Bangladesh). As long as it’s possible to lock exit doors, there remains a potential risk for the workers inside. H&M has stated before that doors and gates do not get locked, only to discover that workers at its supplier Garib & Garib were in fact locked in when a fire broke out. H&M has stated before that doors and gates do not get locked, only to discover otherwise. At the Tazreen Fashions factory, a floor manager locked the gate after the fire alarm started ringing, in order to keep workers at their sewing machines. He never returned to let them out. Only when locks are permanently removed can we be confident that workers will not be locked in if the worst happens. For the purpose of the analysis that we conducted for our report, we only considered as incomplete those items that factory owners themselves had reported to the accord as not yet complete. Therefore, the findings shown in the report are not influenced by any delay that could be caused by accord experts having a heavy workload. In addition, the accord has assured the authors of the report that it regularly updates factory corrective action plans on its website, marking all repairs and renovations reported by factory management as complete as “pending verification” until accord inspectors verify the completion of the item. H&M doesn’t provide any example of action it is taking to achieve timely and correct remediation. As the second-largest clothing retailer in the world, if H&M were doing all that it can, the repairs and renovations would be financed and complete by now. H&M has not provided any transparency regarding the financial solutions it has offered its suppliers. H&M should disclose publicly and in detail how much the company has spent on direct assistance to factories, how much on loans, and if H&M has increased the prices that it offers to factories in order to account for the cost of safety. 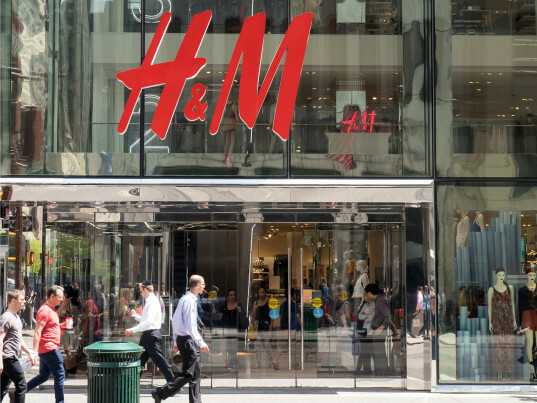 Some H&M suppliers report the absence of a corrective action plan for repairs and renovations. 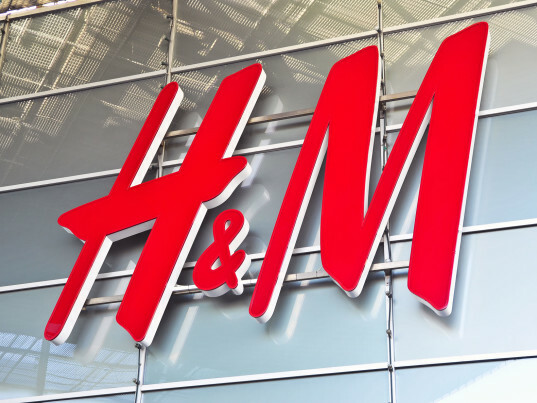 Some H&M strategic suppliers are still reporting to the accord that they have not yet reached an agreement on financing with their buyers, including H&M. As of October 8, 2015, 12 H&M suppliers, out of a sample of 32 strategic suppliers where the accord conducted initial inspections over a year ago, reported that there still was not an agreed plan for paying for the necessary factory repairs and renovations. Of the 12 suppliers reporting the absence of an agreed plan, eight have updated their corrective action plans within the past five weeks and yet continue to report the absence of a finance plan. H&M has not made public how much it is contributing to individual factories. In fact, the accord has reported that the vast majority of Accord-listed factories are self-financing the requisite fire and building safety renovations. H&M pays poverty wages in Bangladesh – the same shockingly low minimum wage level that Walmart pays of US$68 per month. How can keeping workers and their families in a cycle of poverty be considered contributing to the Bangladeshi community as a whole? Note: The fifth and sixth quotes are translations of remarks by H&M press secretary Camilla Emilsson-Falk, as reported in the October 2, 2015 edition of Svenska Dagbladet. It's a shame to see a fashion giant that posted a US$2.93B this year not being able to provide fully equipped factories for their suppliers/workers. The cost of human lives are far greater than the costs to install fire exits and sprinklers. As part of my objective at coutureyourwaste.com, I aim to bring further awareness to my audience the appalling measures large fashion brands have taken to increase safety for their garment workers. We would love to hear your thoughts! H&M’s sustainability communication should be based on honesty, rather than confusing customers by implying that its supplier factories are totally safe, when it's clear that they are not. 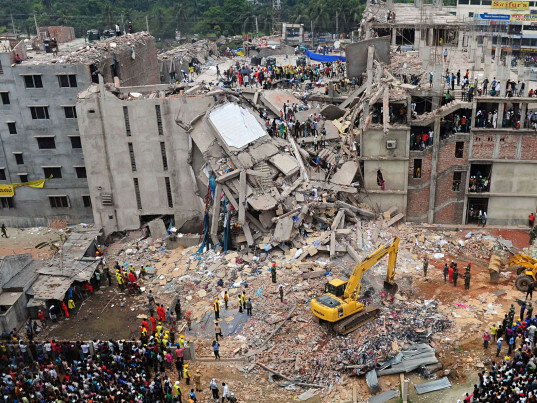 H&M should bring its suppliers into compliance with the requirements of the Accord on Fire and Building Safety in Bangladesh. Taking the required measures means completing the renovations required under the accord's safety action plans within the required deadlines, which H&M has not done. However, we are not in a position to verify this claim by H&M unless H&M publicly releases the list of factories where it's the lead brand. If H&M wants to rely on this set of data to make its claims, it should also make that data publicly available so that it can be verified. Furthermore, “some delays” seems to be quite the understatement when the majority of H&M "Gold" and "Platinum" suppliers were behind on more than 50 percent of the required renovations. It's difficult to believe that the importation of fire doors and sprinklers would be beyond its power, if it were really the priority H&M claims it to be. 6. “It has to do with doors that have been lockable but they haven't been locked. Also in this case it's a matter of old doors that will be replaced with newer ones, but it hasn't yet been done." As long as it's possible to lock exit doors, there remains a potential risk for the workers inside. H&M has stated before that doors and gates do not get locked, only to discover that workers at its supplier Garib & Garib were in fact locked in when a fire broke out. At the Tazreen Fashions factory, a floor manager locked the gate after the fire alarm started ringing, in order to keep workers at their sewing machines. He never returned to let them out.